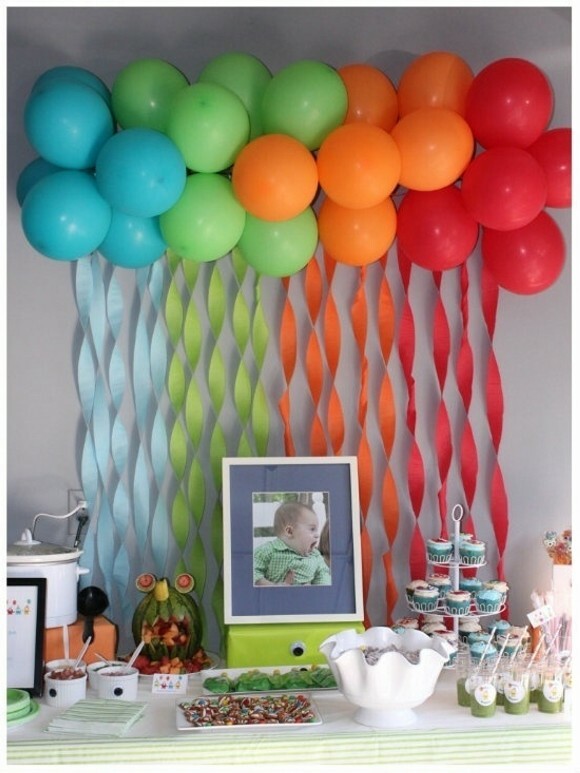 Balloons are such a simple and cheap party decoration that kids really love to have in their surroundings. They are really something great for décor and play. I have thrown elaborate parties with tons of organized games only to have the kids interest lost in the balloons. The kids are much more simpler and innocent than we consider them to be. 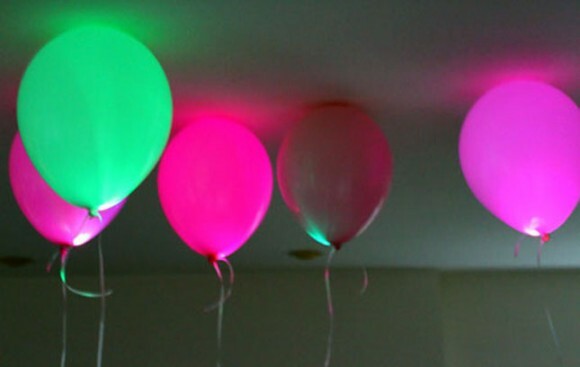 Just with a little bit of creativity we can throw them a party that they will never forget. Not only the kids but the adults also love the decoration of balloons at the celebration venue. 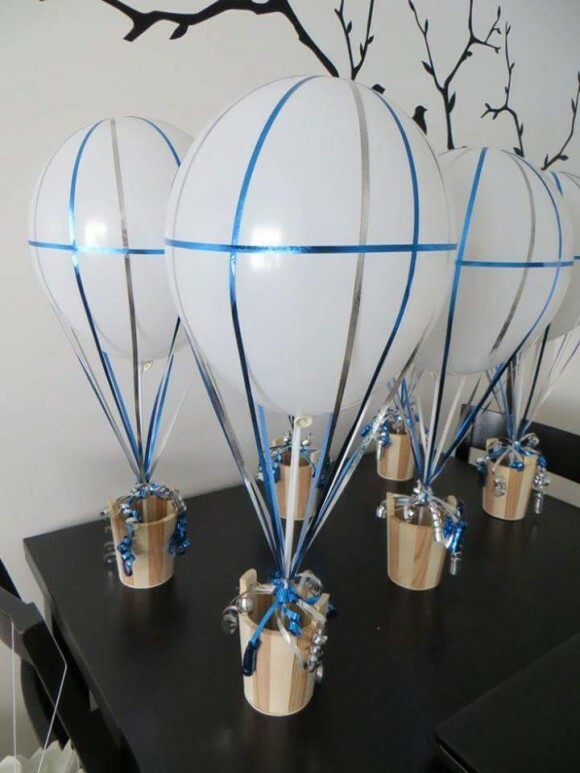 Balloons come in a variety of sizes and colors that may be chosen according to the nature of the event that you are going to celebrate. For instance you can have some red balloons for valentine’s day, or you can go for some pink ones while celebrating a birthday. You can opt for heart shaped balloons when you are going to celebrate a wedding anniversary. So these tiny and sometimes big amazing objects give you the freedom to chose accordingly from the huge variety. 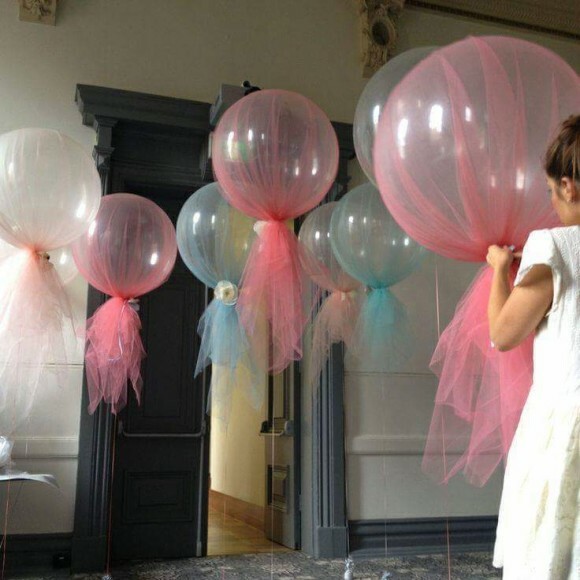 Here we will be discussing on several possibilities and inspirations to decorate the venue according to the event with balloons. 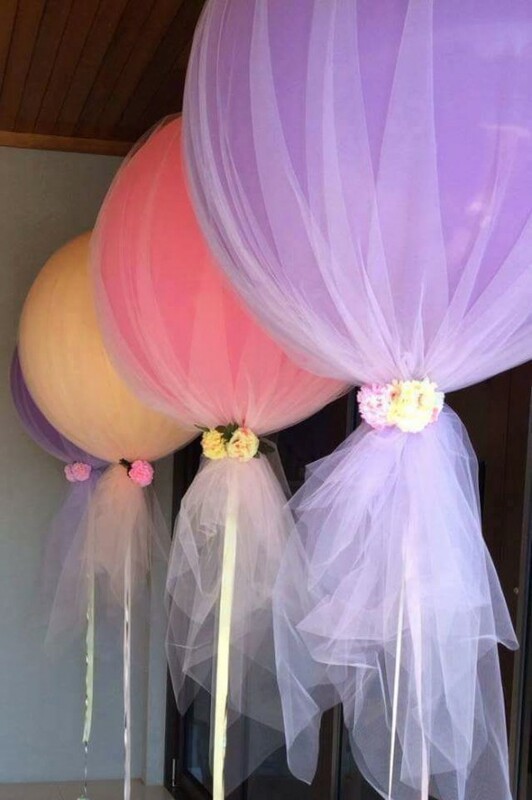 As we discussed earlier that balloons come in a huge variety of colors and sizes. 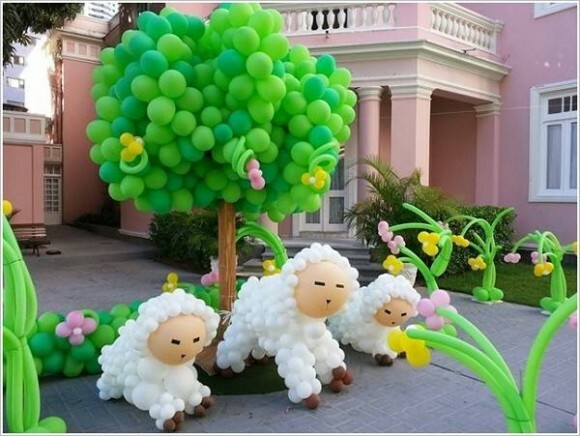 And you can chose your balloon for the event according to the nature of event. 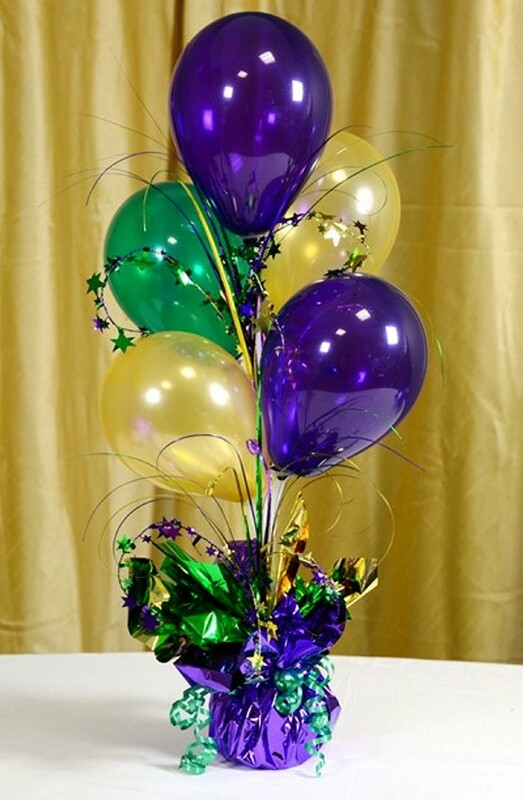 Here are some decoration arrangements made with the help of balloons. 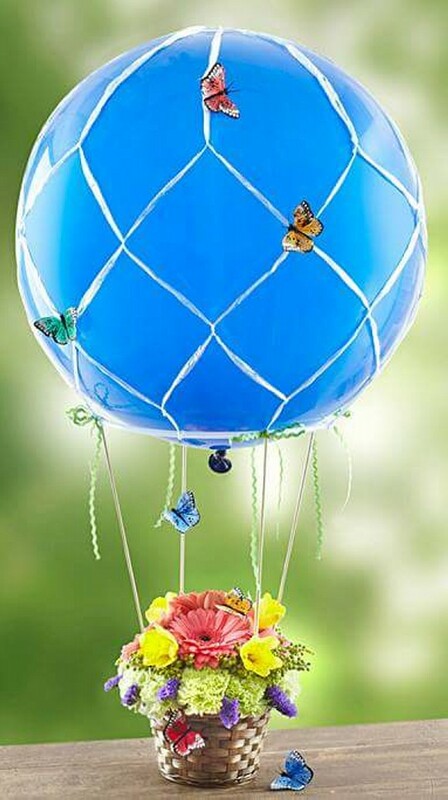 Like a huge blue helium balloon having attractive butterflies printed on it is connected with a flower bucket. 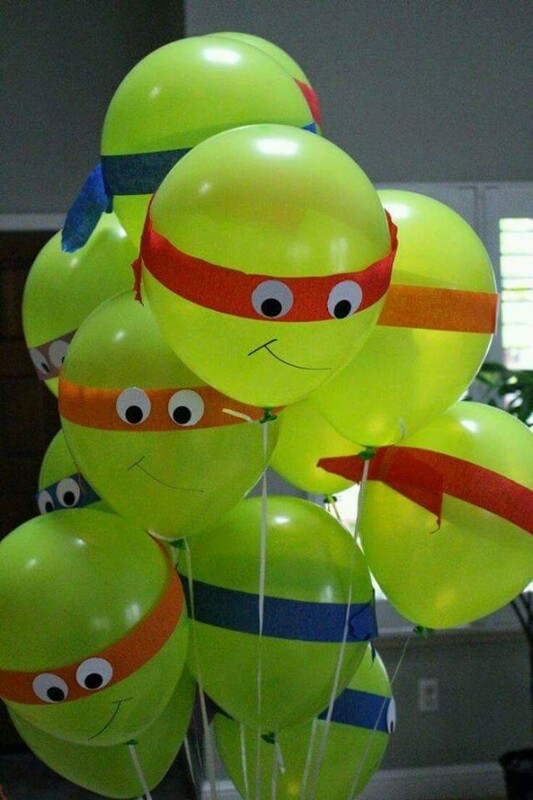 In the other project we can see some green balloons mimicking the famous cartoon character ninja turtles. Some other big balloons are wrapped in net fabric. 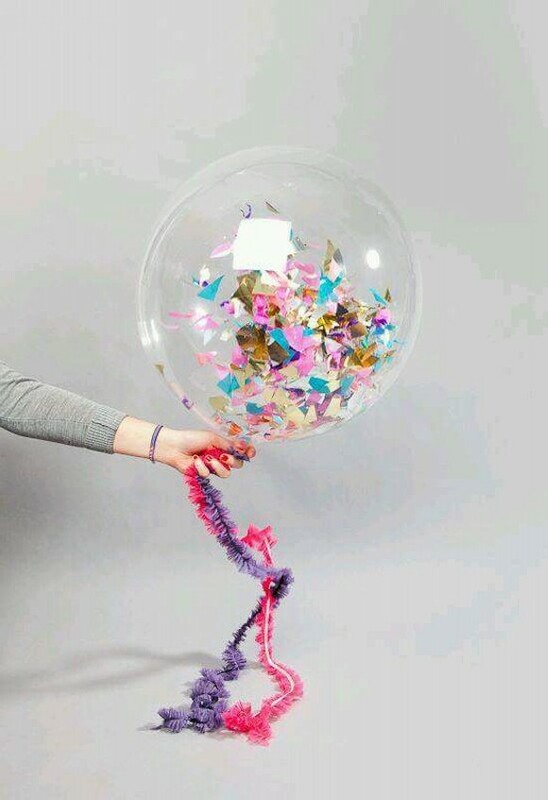 Many colorful balloons are having ribbons at their tail ends. 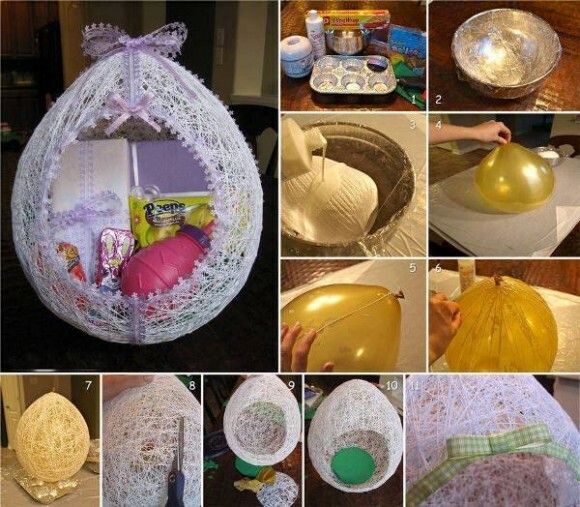 In a nutshell, balloon is an amazing tool for decoration purpose.